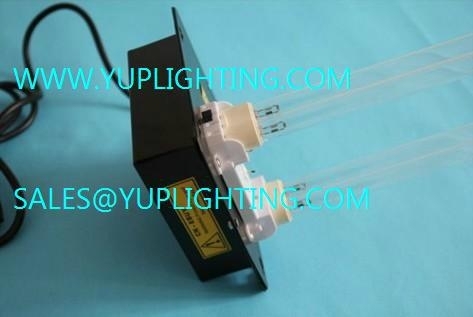 We are OEM manufacturer for many branded company for UV lamp ,Quartz Sleeve and UV Air Cleaners. We will satisfy your needs! UV-C light inhibits the growth and reproduction of germs and bacteria that circulate through a home’s heating and air conditioning system. The treatment is a safe, silent, and proven way to make your home a healthier place to live. The UV-PURE unit is designed to emit powerful UVC band light rays which sterilize and reduce airborne microorganisms as they pass through a heating or air conditioning system. It is installed in the main supply or return duct and operates continuously to automatically purify the air in the home 24 hours a day. This product is not sold as a medical device and is not for the purpose of diagnosis of any disease or condition nor for use in the mitigation, treatment, or prevention of any disease or condition. READ THESE INSTRUCTIONS CAREFULLY AND COMPLETELY BEFORE PROCEEDING WITH THE INSTALLATION. This device MUST be installed by a qualified agency in accordance with the manufacturer's installation instructions. The definition of a qualified agency is: any individual, firm, corporation or company which either in person or through a representative is engaged in, and is responsible for, the installation and operation of HVAC appliances, who is experienced in such work, familiar with all the precautions required, and has complied with all the requirements of the authority having jurisdiction. expose eyes or skin to direct UV-C light from any source. WARNING: To prevent water damage or electric shock, do not mount unit under a humidifier. WARNING: Designed for a closed duct system. Do not mount near a return air opening. is NOT designed to be mounted outside on gas fired or heat pump packaged units**. WARNING: Never expose eyes or skin to UVC light from any source. • Looking directly at the UVC light may cause permanent eye damage or blindness. • Never operate the UV-PURE Air Purifying System out of the plenum. • Designed for a closed duct system. Do not mount near a supply or a return air opening. • All duct openings in direct line of site of the UV light must be sealed with aluminum tape or equivalent sealing methods. • The unit must be mounted at least 30" from the above stated type of materials. • I f it is necessary to mount the unit in direct line of sight of these types of materials, they must be shielded with aluminum foil, aluminum foil tape, or sheet metal. WARNING: DO NOT mount this unit outdoors. • This product is designed for indoor installation only (i.e. attics, crawl spaces, basements, etc.). WARNING: Never touch broken lamp or internal contents of lamp. The lamp contains mercury. lamp or other contents in carton. Close carton and return to seller immediately. is pierced, seek medical attention immediately. death. Never expose eyes or skin to direct UVC light from any source. product is NOT designed to be mounted outside on gas fired or heat pump packaged units**. WARNING: Never expose eyes or skin to UVC light from any source. Looking directly at the UVC light may cause permanent eye damage or blindness. Never operate the UV-PURE Air Purifying System out of the plenum. The UV-PURE unit uses technology that is recommended by doctors who state that “ultraviolet radiation,properly integrated with heating, ventilating, and air conditioning systems, shows the most promise as a widely applicable means of air disinfection”.